What is IELTS: The International English Language Testing System (IELTS) measures the language proficiency of people who want to study or work where English is used as a language of communication. It uses a nine-band scale to clearly identify levels of proficiency, from non-user (band score 1) through to expert (band score 9). There are 48 test dates per year and IDP IELTS offers over 200 test locations all over the world. Search for a test centre near you and find a convenient test date. Check the IELTS score required by your chosen university, institution, employer or organisation. Each organisation sets their own requirements so it’s a good idea to contact the organisation directly to check their IELTS requirements. Practise the free IELTS test sample questions. Use sample questions and sample responses with examiner comments. There is a wide range of IELTS preparation material available for purchase at bookshops and online. 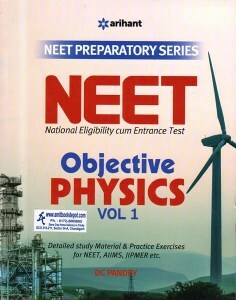 You can also find IELTS books here: www.amitbookdepot.com. Prepare for the IELTS Speaking test with IELTS VIdeos. They explain the aspects of fluency and coherence, lexis and vocabulary, grammar and pronunciation that are considered during assessment. The test taker’s photo, nationality, first language and date of birth..
Test Report Forms are valid for two years. The deadline for submission of application is set three weeks prior to a certain test date. a. Scan and upload a clear copy of the VALID ID required with photo and signature. The post which you have shared was really helpful to me. Keep up the good work and share more IELTS tips. I have bookmarked it and I am looking forward to reading new articles. Keep on updating.